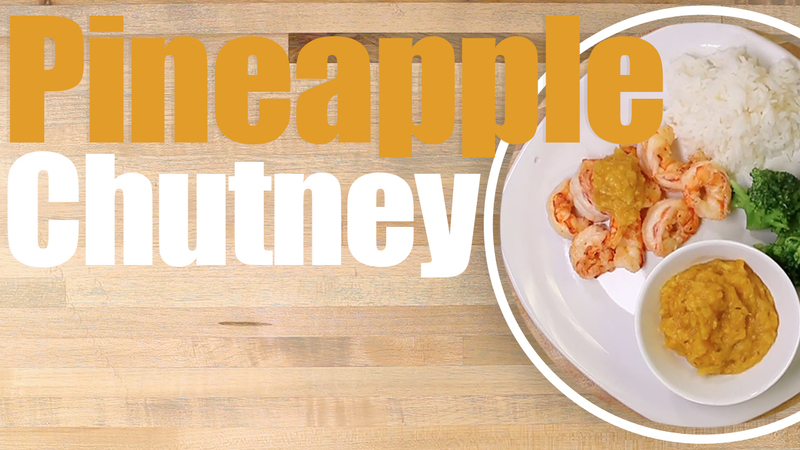 We decided to make this awesome and easy Pineapple Chutney recipe! This recipe is easy and quick and would be delicious paired with so many different foods!! Follow along in our simple Sauce Stache Style recipe of our Pineapple Chutney! Mince Everything and Juice Limes. Add Everything to skillet on medium high heat, simmer and cover. Simmer for 15 minutes. Remove and let cool. Blend to consistency you like.